Pride of ownership shows in this meticulously maintained ranch home on a coveted corner lot. This home is move-in ready, boasting 5 bedrooms and 3 full bathrooms. Bright and open floor plan with large eat-in kitchen, large living room with gas fireplace, formal dining, vaulted ceilings, plantation shutters, hardwood floors and upgraded granite counters. Main floor features master bedroom with updated 5-piece master bath and walk-in closet, along with 2 secondary bedrooms, full updated bathroom and laundry room. Finished basement includes 2 large bedrooms and bathroom with lots of storage. Enjoy the covered patio in the lovely landscaped backyard. 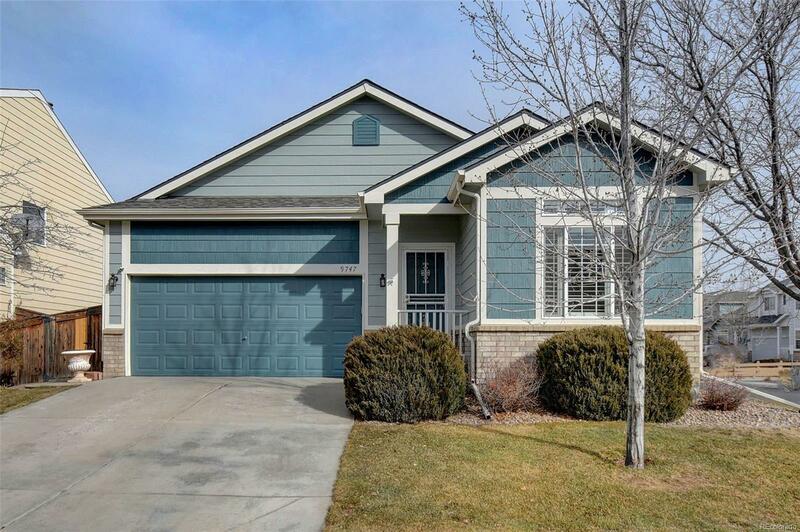 Close to new shopping centers in Reunion and just minutes to Bison Ridge Rec Center.